We have ordered a first run of the 2018 Buddhist Bicycle Pilgrimage to commemorate in photos our experience. 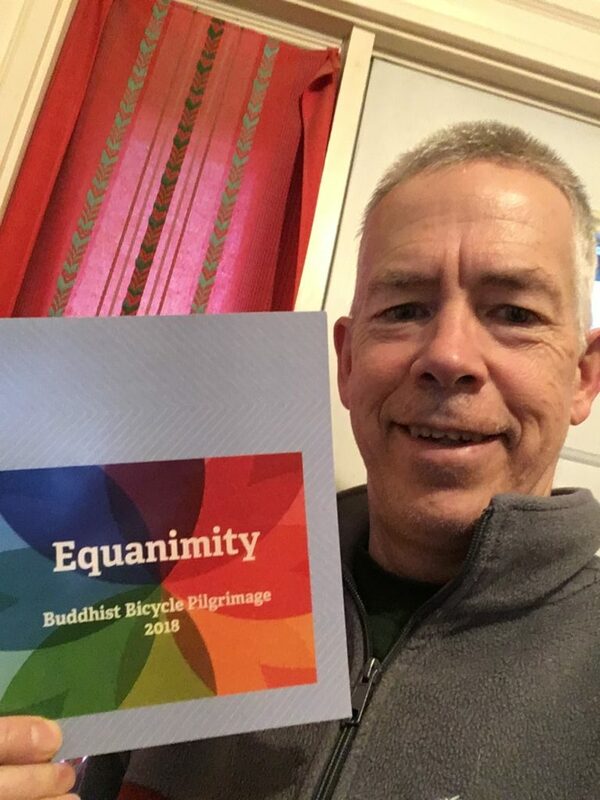 This is a beautiful creation put together by Peter Crimmin with 30 pages of donated photos chronicling the Pilgrimage from Spirit Rock to Abhayagiri. Going forward we hope to expand the chronicles to include audio recordings of the dharma talks we hear and spiritual theme publications. 3. Generate additional Dana (generosity) for our visited centers. The 2018 photo books are available now with a suggested donation toward the cost of the photo book and above that Dana to pass along to the centers. To make a donation and get a copy, choose your level, and click Buy Now.